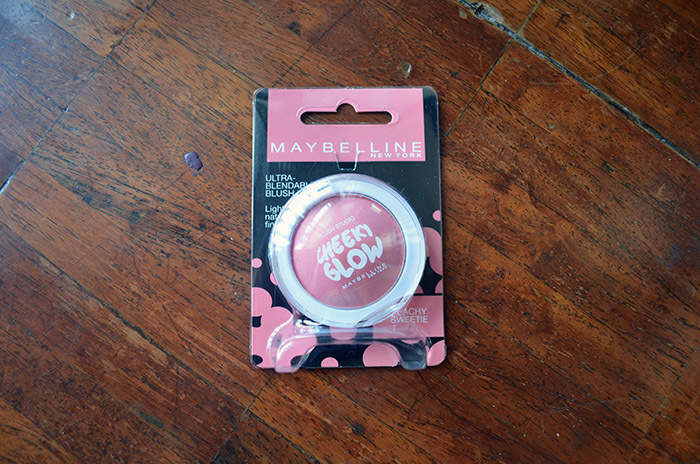 I got this Maybelline Cheeky Glow (a powder blush) in the October BDJ Box. 🙂 I haven’t tried any of Maybelline’s blushes before (at least as far as I remember), so I was pretty curious as to how well it would perform. Peachy Sweetie is a light peachy coral, chock-full of very fine silver shimmer. 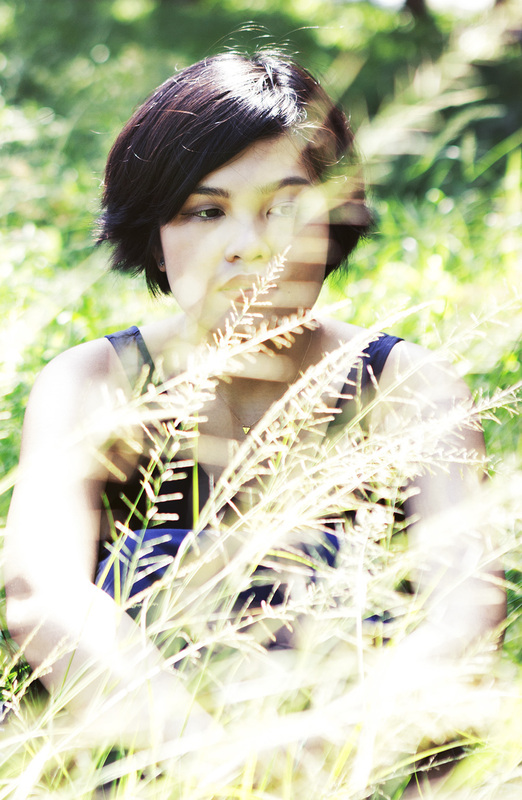 The shimmer remains visible even when you blend out the blush. I suggest tapping off the brush before application to get rid of the excess glitter. 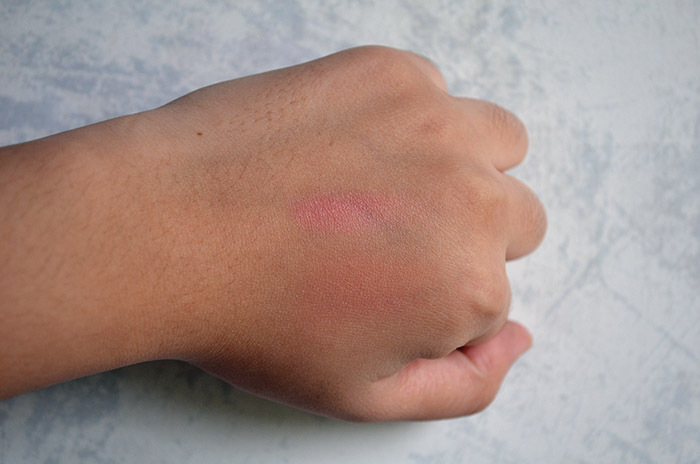 A heavy swatch (top swatch) makes it appear more pink, whereas blended out, the peachiness becomes visible. 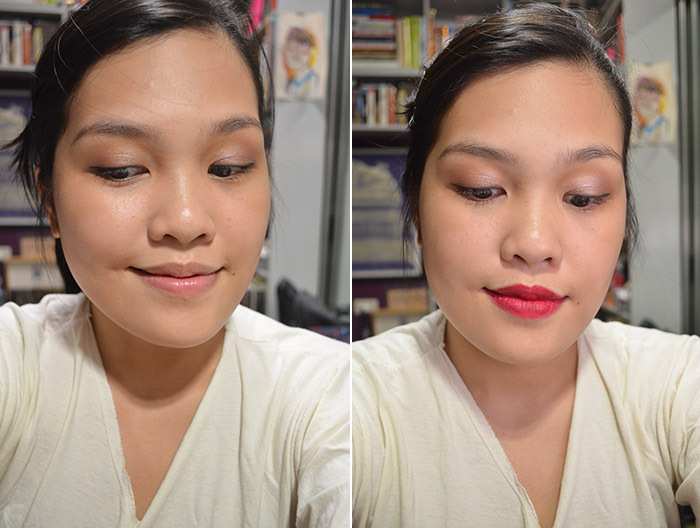 On the face, it’s quite subdued, but the shimmers are visible up close. I think it would be a pretty everyday color, which is perfect since it’s so cheap. The blush itself is not velvety-smooth or buttery at all, but even the hard powder yields decent color when you swipe it. Packaging is not-s-flimsy, but it is quite “drugstore-looking,” with the white, light plastic as well as the clear plastic top. It’s smaller than higher end blushses like MAC and Tarte, and the size is comparable to the compact of Canmake’s Cream Cheek. 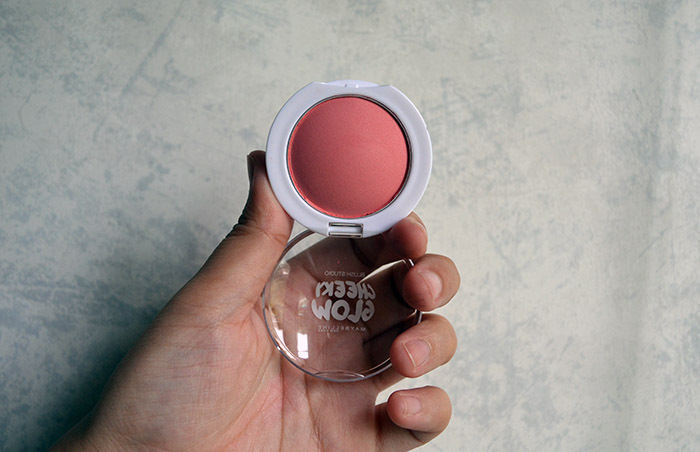 It’s not a bad blush, and I do like the color, but I feel prefer other drugstore formulas to this. * This was provided free of charge by the BDJ Box Team. All opinions are honest and my own. Its very natural looking in pictures. How much shimmer shows up in person? Is it acceptable or is it in your face? Previous PostMade-Up History: Piet Mondrian’s “Composition with Yellow, Blue and Red,” 1937-1942.